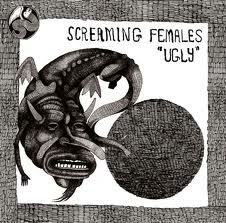 Screamng Females have been going strong for 7 years as a band and never fail to leave a lasting impression. Whether it be through their last 4 albums or their always memorable live show, Screaming Females brings it. On their 5th studio album, Ugly, they continue to push their sound, exploring a more rock-n-roll approach to their punk influenced previous efforts. Marissa Patemoster secures her legacy as one of the best frontwomen around, belting out songs while shredding on guitar. King Mike (bass) and Jarrett Dougherty (drums) don’t let Patemoster’s presence overshadow them, always matching the dynamics of her guitar playing. At times throughout the record, it almost sounds like the members of Screaming Females are competing with each other to claim their dominance. “It All Means Nothing” starts the album and right away it is clearly apparent that Screaming Females have learned to encompass their wide range of influences into a sound of their own. “Rotten Apple” and Extraction” are some rocking tunes that’ll have the listener nodding their head the entire time. “High” ends on such a “high” note, where the band launch into a rocking jam session with the tempo being pushed to a climactic end. Steve Albini did a remarkable job in capturing the band’s live performance intensity on record, the sound quality is perfect with not one instrument being drowned out by the other. Screaming Females are currently on tour in support of Ugly which will be released on April 3rd via Don Giovanni Records.